Website design for churches ministries Hampton VA | Faith Finder is a custom programming website developed in Joomla for searching faith based houses of worship and other faith based organizations. The website features expanding church listings, prayer center and searchable database nationwide. 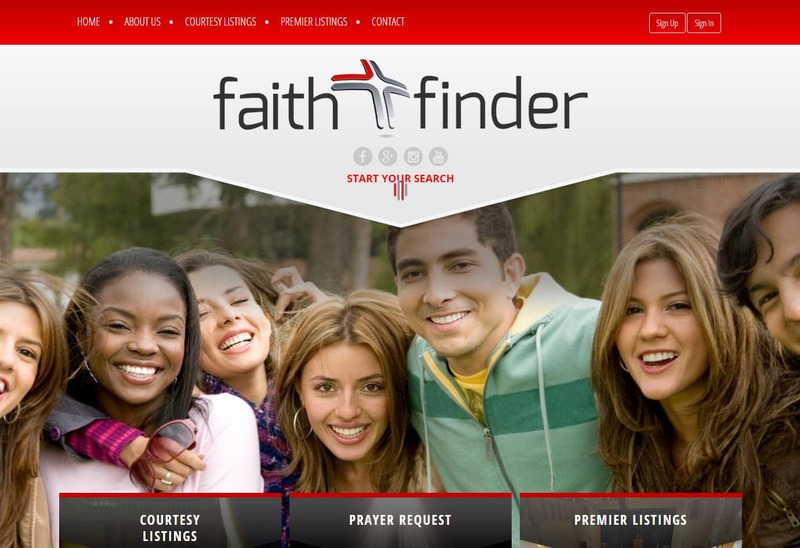 Faith Finder a custom design website application. At VISIONEFX we do not use plug-in-play Joomla templates. We feel every website should reflect the look, feel, style and branding of the online business. The Faith Finder corporate offices are based in Hampton, VA. Search ‘Web design Hampton VA’ or ‘Web developers Hampton VA’ look no further than VISIONEFX for all of your website needs.